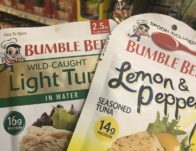 Giant: FREE Bumble Bee Light Tuna Or Seasoned Pouch Thru 4/4! 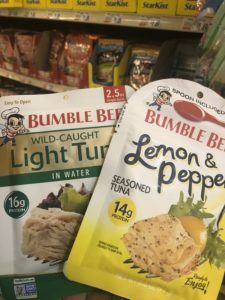 You can score Bumble Bee Light Tuna Or Seasoned Pouch for Free with a coupon at Giant. This coupon is good for one 2.5 oz Bumble Bee Light Tuna, seasoned Tuna or Tuna Salad pouches. You will need to load the digital coupon by 3/22 and redeem by 4/4. Save $3.00 on the purchase of any ONE (1) Zantac 150 (24 ct.
Continue reading Giant: FREE Bumble Bee Light Tuna Or Seasoned Pouch Thru 4/4! at FTM.